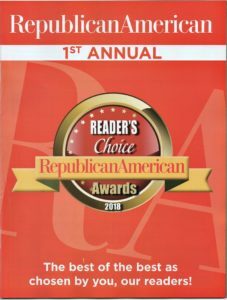 Cramer & Anderson Partner Neal D. White, Jr. has been named Best Estate Planning Lawyer in the Waterbury Republican-American newspaper’s 2018 Reader’s Choice Awards. Winners were announced in a special section inserted into the Aug. 30 edition of the paper. Joining Attorney White on the list of winners is Cramer & Anderson Partner Chris Sochacki, who was named Best Personal Injury Lawyer. In addition to Estate Planning, Probate & Trust Administration, Attorney White’s practice focuses on Elder Law, Residential & Commercial Real Estate, Business Law and Tax Law. He is based in the firm’s Litchfield office. 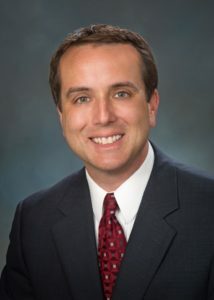 Attorney White also handles residential and commercial real estate transactions and, as the lead partner for business and corporate law in the Litchfield office, he assists business owners with the formation of limited liability companies, and corporations & partnerships. He also counsels businesses of all sizes on transactions, employee and personnel issues, mergers and acquisitions, and issues of governance and operation. His clients also include not nonprofit organizations. Serving clients from six offices in western Connecticut, Cramer & Anderson has a hometown sensibility, a strong regional presence, and a worldly outlook in Practice Areas extending from Personal Injury and Divorce & Family Law to Immigration, Municipal Law, Land Use Law, Real Estate, Workers’ Comp and much more. 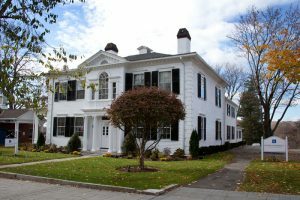 The flagship office is located in a historic structure on the Green in New Milford. Additional offices are located in Danbury, Litchfield, Kent, and Washington Depot, and the firm has a new office in Ridgefield, serving Fairfield County. For more information, see the website at crameranderson.com or call the New Milford office at (860) 355-2631.